Morven works with the team to ensure that Disability Equality Scotland is effective in its aims to promote equality and to reduce barriers to Independent Living. Responsible for the strategic development of the organisation, Morven continues to advance the influence and impact of Disability Equality Scotland and its stakeholders. Emma is responsible for managing a broad number of projects/initiatives. Working closely with the CEO to implement the organisations’s strategy to work towards social inclusion for Disabled People in Scotland. Ian is our Access Training and Engagement Manager and it is his role to support, develop and promote the Access Panel Network. Ian is also responsible for providing guidance on accessibility to external organisations and managing our Disability Equality Access and Learning training course. James is responsible for sharing information such as news, events and consultations to our members in a clear and accessible manner. This includes producing our monthly newsletter and quarterly magazine, ‘Open Door’. James is also responsible for the upkeep and population of all website content. Maeve is responsible for the administration of our finances, keeping us right on book-keeping and payments, as well as supporting in other areas such as minute-taking and regular Board related duties. The Events, Training and Membership Administrator provides support to the Access Training and Engagement Manager and Operations Manager. This post contributes to the direction and delivery of all events, training and membership services for Disability Equality Scotland. Linda’s career background is mainly in NHS Scotland, initially as a psychiatric and general nurse before moving into Para-medicine with the Scottish Ambulance Service. 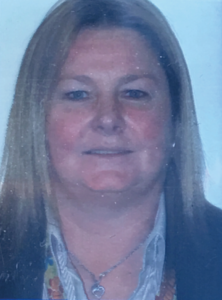 After 13 years as a frontline paramedic in Glasgow, Linda moved into management, holding various senior management positions within the ambulance service for a further 15 years. She was heavily involved in Accident and Emergency ambulance service provision in various areas in Scotland and led on the previous Patient Transport Service Redesign Strategy. Linda is the recipient of two queen’s medals. One for “Long Service and Good Conduct – Emergency Duties” and the second for “Dedication to the NHS”. Linda took early medical retirement after several surgeries for a spinal cord injury at L3/4/5 and S1. During her rehabilitation Linda received support from Spinal Injuries Scotland and got involved to help others living with a spinal cord injury. She was previously the Chair of Spinal Injuries Scotland and continues to be an ambassador for the organisation. Linda is involved in Children’s’ Hearings Scotland and is also a qualified counsellor. She is the National Convener for Mobility and Access Committee for Scotland. Linda has a passion for equality and doing the right thing and strives through her work and volunteering to bring about transformational changes that will assist everyone to lead their lives as they chose. Linda has a Master’s in Business Administration and brings to the role experience and qualifications in Business and Operational Management, Service Delivery, Corporate Governance, Strategy Planning and Development, Risk Management, Change Management, Team Building and Leadership and Organisational Planning utilising project methodologies. Dorothy grew up in Northern Ireland during the years described as the ‘Troubles’ and believes her intense commitment and passion for equity and fairness grew from these experiences. 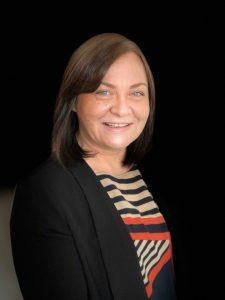 Dorothy has over 35 years’ experience in Human Resources, is a trained and experienced Mediator, she has Fellowship of the CIPD and a passion for ‘Doing the Right Thing’. Dorothy is an Associate of a number of companies throughout the UK and is the Board Chair and Director of Edinburgh Gang Show Productions Ltd.
Dorothy’s experience stretches across public, private and third sectors and she now runs her own business focusing on supporting Boards and staff groups to build good relationships, reduce and resolve conflict and have a strong business focus. Dorothy also has a strong commitment to volunteering with young people over many years and this plays an important part in her life. 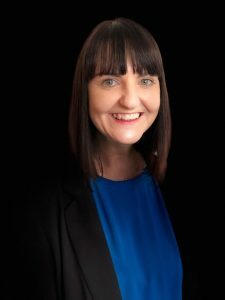 Dorothy is also a Registered Mediator with the Scottish Mediation Network and undertakes pro bono support for Peer Mediators in local schools. Dorothy has a strong focus on supporting everyone to live the life they wish to live and not the one other people, systems or processes believe they should. Colin is currently the Chief Executive Officer (Executive Director) of the Scottish Personal Assistant Employers Network (SPAEN), having previously served on the Board and then as Chairman of the company. Colin worked in a number of senior civilian roles within the Scottish Police Service including Head of the Criminal Records Bureau for Central Scotland Police before leaving to work in the voluntary sector. Colin graduated in Management in 2006 and went on to become an EFQM Business Excellence Practitioner and Accredited Assessor. He is also a Fellow of the Chartered Management Institute (FCMI); a Member of the Institute of Directors (MIoD) and a Member of the Institute of Consulting (MIC). As a young child, Colin had Legg-Calvé Perthes Disease, a disease which significantly impaired his mobility and independence, an experience he draws on daily as he now seeks to support others to live full, active and inclusive lives and fulfil their potential and ability. Janis is currently the Chief Officer of the Scottish Council on Deafness. Janis has a nursing background and has worked in the Public and Third Sectors. She has thematic specialties: addictions, particularly alcohol; homelessness; equalities and deafness. 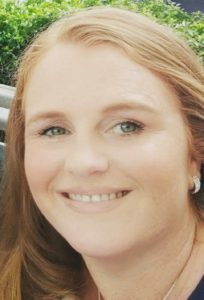 Working in service provision, local and national intermediates, and a range of locations in Scotland, has allowed her to develop a range of skills, experience, and knowledge. She is now particularly interested in quality and standards, governance and communication equality. Maureen has experience working at board level gained through being a Director with Spinal Injuries Scotland for 6 years before taking up the position of interim General Manager. Maureen’s involvement with Spinal Injuries Scotland (SIS) commenced after learning about their work during one of her appointments at the Spinal Injuries Unit in Glasgow. Maureen has a Spinal Cord Injury. Maureen has lived experience of issues effecting people with disabilities both visible and hidden. She enjoys working with people and building partnerships and relationships and has an innovative approach to fundraising and an evidenced track record of success in this area. Maureen has ambassadorial experience and experience gained through volunteering within the charity sector and managing/leading a team of over 12 volunteers to provide support services for people with spinal cord injuries throughout Scotland. The skills Maureen brings to the board are, a lived experience of disability, the ability to connect and develop partnerships, fundraising experience, experience and knowledge gained through working at board and senior management level within the charity sector, building and developing teams and the ability to network to find funding streams to allow for the provision of support services to those who need them. Scott’s background in supporting communities is deeply rooted in his roles in the public and third sector. 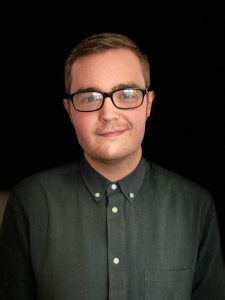 As manager for Disability Information Scotland, an organisation supporting disabled people, Scott is aware of the challenges experienced by disabled people, their families and carers and constantly strives to break down the barriers that hinder the opportunities of disabled people in our society. Scott’s career in local government carried him through many service areas, however, it was his experience as an operational manager in service support, planning, project management and financial management that allowed him to flourish in the areas he supported. 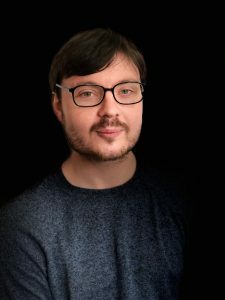 As a member of the divisional management teams in both Revenues & Housing Management and Adult Social Care and through his work on the local authority’s risk management and divisional charging policy groups, Scott has extensive experience and developed a range of skills that he can bring to Disability Equality Scotland. As an experienced leader and understanding of the challenges experienced by disable people in our communities, Scott is very much looking forward to supporting Disability Equality Scotland in delivering our vision of a better life for disabled people. Carolyn has worked in the public and private sectors, 23 years with Barclays Bank and 12 years in public sector with a Local Authority and now the NHS. Her areas of expertise include human resource development, organisational development, project management, consultation and engagement. Carolyn has also supported the voluntary sector, having previously spent many years as Chairman of Directors for Employability Orkney. She was Games Maker at the London 2012 Olympics, providing support and assistance to other Games Maker volunteers, and is currently an adult volunteer with Police Scotland Youth Volunteers, the fastest growing youth organisation in the UK. Carolyn has a strong sense of fairness and equality. Steven has spent the last 11 years living with a complete C3 spinal cord injury, leaving him with no movement from the neck down and requiring a ventilator to breathe 24hrs a day. This situation has failed to prevent Steven from ensuring he stays positive, driven and an active member of society. It is with this passion for life that Steven hopes to bring value to the board of directors. The nature of his lifestyle means Steven is regularly facing many of the obstacles and challenges that we want to tackle at Disability Equality Scotland. As someone with a highly complex disability Steven has a unique insight into life negotiating the physical landscape surrounding us while striving to fulfil his many personal goals. Therefore, he is determined to help roll out our key objectives and make a meaningful difference to others with disabilities. Steven has volunteer experience with Spinal Injuries Scotland while also serving as a UK ambassador for the charity. He is involved in offering peer support to patients at the Queen Elizabeth University Hospital who have recently suffered a spinal injury, helps create the charities quarterly magazine and speaks on behalf of the charity at public events and functions. Before his injury Steven was a manager for one of Glasgow’s largest retailers with responsibility for over 200 employees, budgeting payroll, stock management and sales targets exceeding £20m per annum. His commitment to self-improvement since his injury has led Steven to study for a degree in psychology with a view to becoming a more effective peer support volunteer. Steven strongly believes that his experience of life with a disability mirrors the principal aims of what we wish for our members. That was his motivation behind joining the board of directors and he looks forward to playing a part in delivering our future goals. Kenny has been mainly employed in various management structures at different levels including site manager on a busy pharmaceutical site. Whilst employed as site manager Kenny had an accident at work leading him to suffer major damage to his lower back. This caused him to require four operations to attempt to repair the damage. Unfortunately, these were not all successful and as a result Kenny now lives with the pain. Further to this he has also developed other health difficulties. Kenny uses a power chair to get around. Having been an able-bodied man and hands on dad this major change in his life was difficult for both him and his family with which to come to terms. 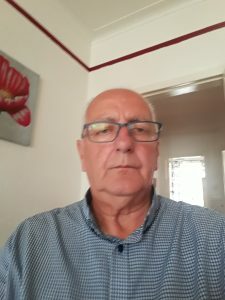 Kenny has since took up various volunteering roles including chairing The Three Towns Disability Forum for seven years and chairing North Ayrshire Carers Forum for six and a half years. Through these volunteering roles, Kenny was keen to pursue a career in public involvement. 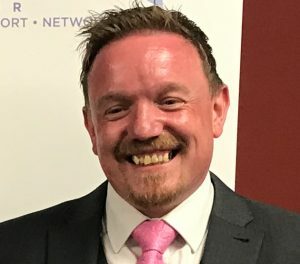 He has since retrained and with the continued support of his wife has took up employment with East Ayrshire Community Health Partnership in 2005 as a Public Partnership Forum Coordinator when his role was to build a Public Partnership Forum for East Ayrshire. Kenny can bring vast experience to the role as non-executive Director with Disability and Equality Scotland. His life experience as an able-bodied person and as a disabled person. He genuinely empathizes with others who are faced with the same difficulties of becoming disabled. He also brings his managerial experience to the organisation. Kenny’s true wish is for everyone, no matter their ability, race or religion to be treated fairly and equally and that society understand that it is the environment that disables people on many occasions and that real effort is required from everyone to make this a fairer, more equal world for us all to live in and enjoy. 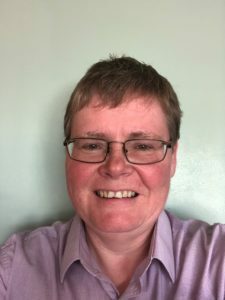 Susan is a local authority Chartered Surveyor with a background in the construction industry diversifying into the field of accessibility in 2004. Susan’s role is varied and includes working with colleagues, members of the community and external stakeholders to try and ensure that services and designs for the built environment are inclusive. Susan obtained her MSc in Accessibility and Inclusive Design from the University of Salford, is a member of the Royal Institution of Chartered Surveyors (RICS), successfully joined their Inclusive Environment Consultant (IEC) scheme and is a consultant member of the National Register of Access Consultants (NRAC). The specialism of accessibility and inclusive design is important to Susan. Some of the current projects she is working on include providing inclusive design expertise to a Scottish University on a research project, taking part in the annual Civic Trust Awards in an inclusive design capacity and working with colleagues in PAMIS to promote the use of Changing Places toilets. Susan is also a member of the Network Rail Built Environment Accessibility Panel (BEAP) where together with disabled people / access experts she provides advice to designers at the earliest possible stage in the design process. New Event – Disability and the Arts!